Had to jump on and be sure you caught Santa Goes Everywhere! by Brian Biggs! Too cute for the holidays. 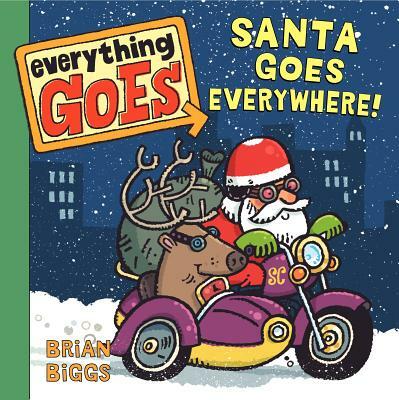 How can you not love Santa and his one reindeer in a canoe, taking public transportation, and on a motorcycle. Happy celebrations, everyone!